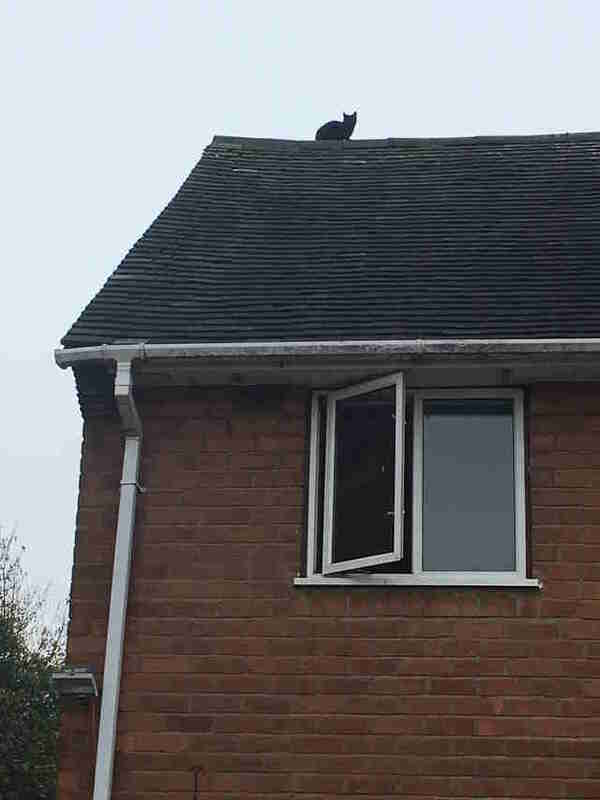 Tinkerbell was exploring around her family’s home one day when she suddenly noticed the roof, and decided she desperately wanted to go up there and investigate. She managed to get up to the roof just fine — but after a while, realized she had absolutely no idea how to get back down again. Once her family realized she was stuck, they contacted the RSPCA, hoping that someone would be able to come out and help. 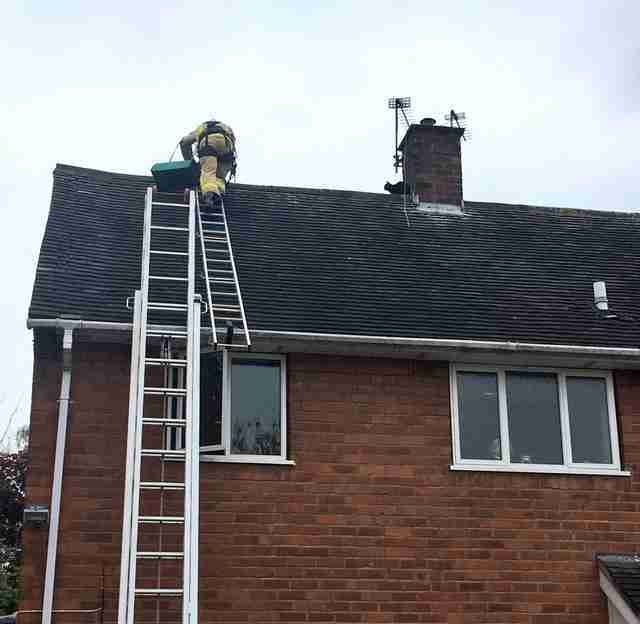 Animal collection officer Shaun Howden immediately rushed over to the family’s home, but quickly realized he wouldn’t be able to rescue Tinkerbell on his own, and contacted Shropshire Fire and Rescue Services to see if it could help. … and came right over to Keen and climbed into the cat carrier he’d brought up with him. 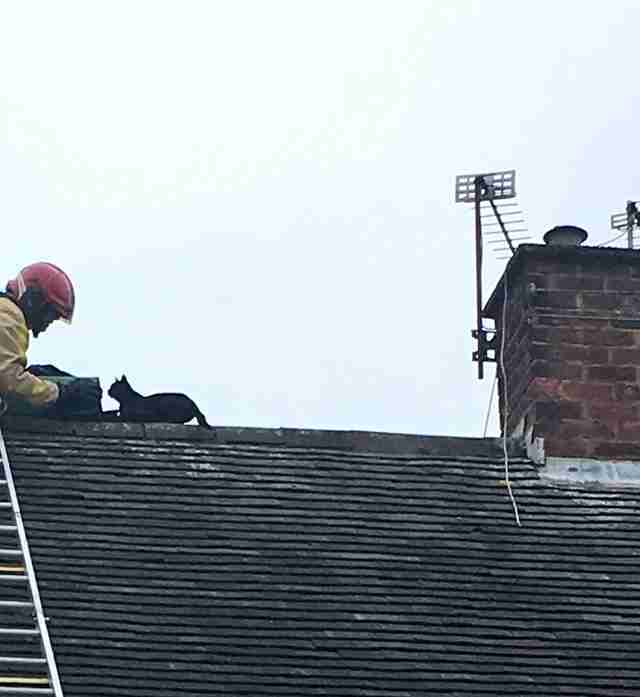 “We have started calling Andy the ‘cat whisperer’ now, as the cat came straight into the box and didn’t need much persuading,” Craig Jackson, manager at the fire station, said in a press release. Keen then carefully brought Tinkerbell back down to safety, and reunited her with her family, completely unharmed. Maybe she was just feeling adventurous that day, or maybe she was trying to fly off to Neverland, but needless to say, Tinkerbell probably won’t be journeying back up to the roof anytime soon. If your cat ever gets stuck somewhere and needs help, you can contact the RSPCA or your local rescue to help get them back down.